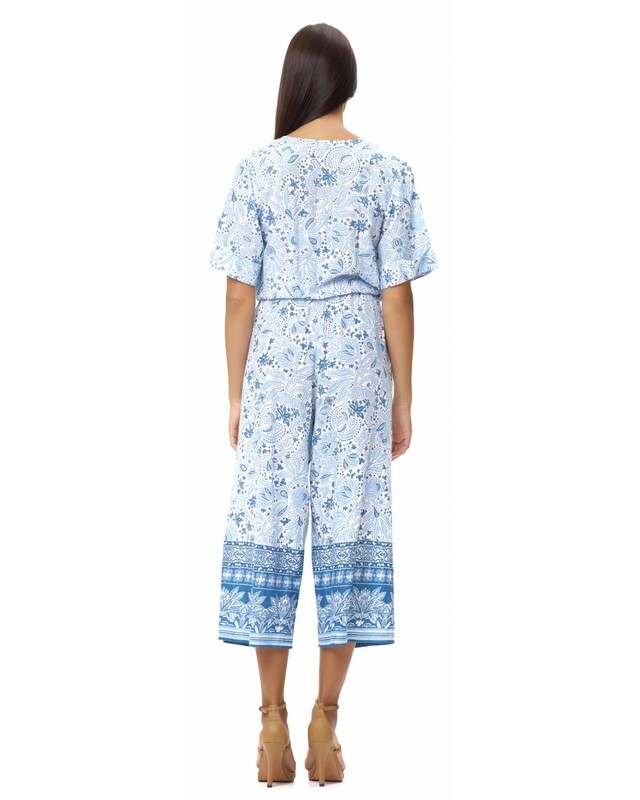 The Caldera Jumpsuit is designed for a loose, comfortable fit. 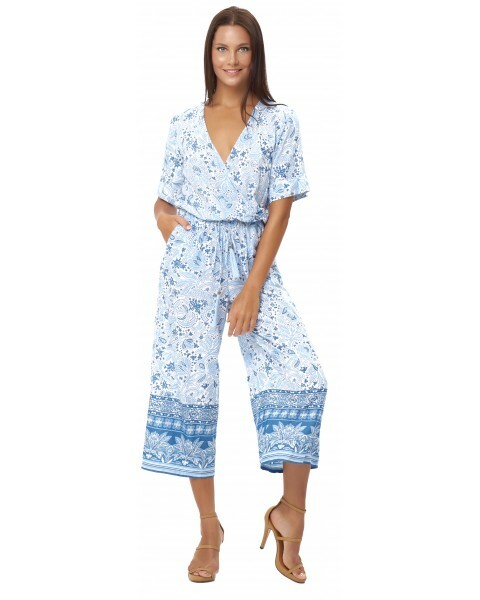 It comes in a lightweight viscose fabric that feels cool on the body. 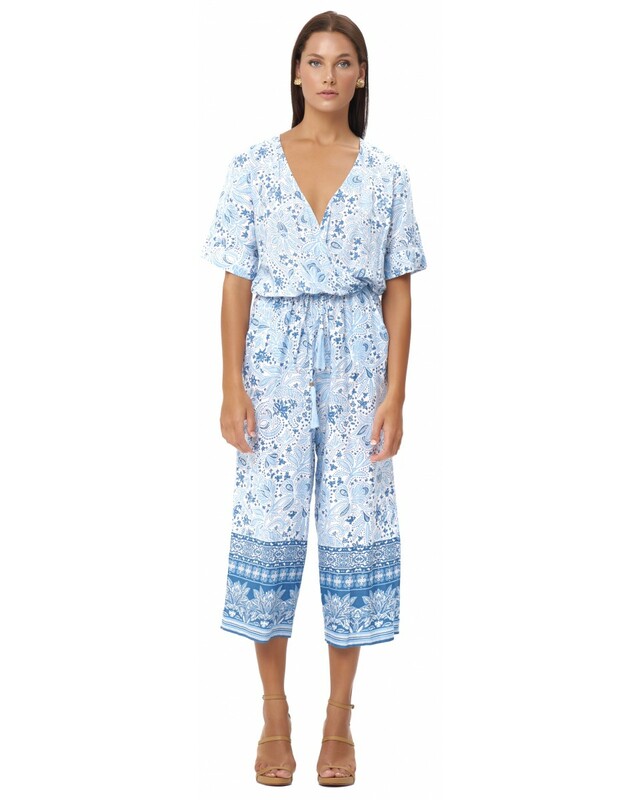 It features short-sleeves, slant pockets and self-tie drawstrings to define the waist. Pair it with strappy sandals for the day and ankle straps heels at night.